January 27th: The war between the Capellan Confederation and St. Ives Compact officially begins after Star League peacekeepers are pulled out. February: A joint MAF/CCAF task force lands on Detroit to free the hostages taken by the Colonial Marshals. April 1st: Clan Steel Viper starts first wave assault into Clan Jade Falcon's Occupation Zone. May 16th: Clan Steel Viper starts second assault wave. July 4th: Clan Jade Falcon ejects Clan Steel Viper from the Inner Sphere. March 15th: Star League forces under the command of Victor Ian Steiner-Davion return from Clan space. November 1st: Second Whitting Conference is held on Tharkad. Theodore Kurita is elected First Lord of the Star League after Victor becomes ComStar's Precentor Martial. Victor Ian Steiner-Davion appointed Precentor Martial of ComStar. Protector Jeffrey Calderon of the Taurian Concordat is killed on Detroit during battles to free him and Magestrix Emma Centrella from their captors. Grover Shraplen becomes the new Protector of the Taurian Concordat. Victoria Academy of Arms and Technology upgraded to train the Capellan Confederation's Periphery allies. Clan Nova Cats granted autonomy in the Irece Prefecture of the Draconis Combine. 8th Free Worlds Legionnaires commissioned into Free Worlds League military. Capellan Confederation's Liao Cháng-Chéng brigade is officially formed. President William Roberts ends martial law in the Rim Collection and announces a new election. The DCMS expands the Osaka Fields Proving Grounds training facility on Benjamin. February 9th: Protector Jeffery Calderon of the Taurian Concordat is killed on Detroit. June 6th: Precentor Martial of Word of Blake, Trent Arian, is assassinated. He is succeeded by Cameron St. Jamais. William Roberts is elected President of the Rim Collection for a second time. 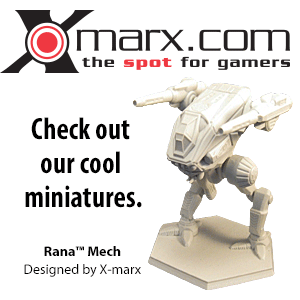 Lyran Alliance introduce the BattleMech Mace. Clan Hell's Horses introduce the Artemis V Fire-Control System. Free Worlds Leage develope the Armored Components system. Clan Diamond Shark introduce Armored Components system. Federated Suns introduce Composite Internal Structure. Clan Jade Falcon produce Laser Reflective Armor. Scientists from the Lyran Alliance created the Heavy Gauss Rifle. Port Sydney Naval Shipyards introduces the Mjolnir WarShip. House Kurita introduces the Kirishima WarShip. DCMS ends procurement of the Wolf Trap BattleMech. K-6 series Black Boxes are introduced. Draconis Combine introduced the HKO-1C Ha Otoko variant. The Black Watch BattleMech is introduced. 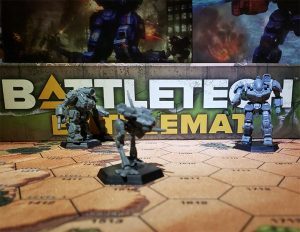 The Blitzkrieg BattleMech is introduced. S.L Lewis Incorporated developed the Slipper LX-Series Hovercar. This page was last edited on 30 November 2018, at 08:04.